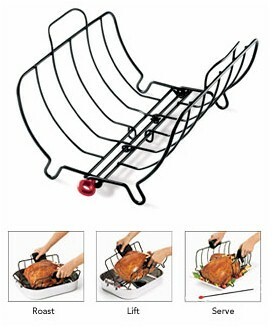 The award-winning Roast and Serve makes transporting and serving a roast or bird much easier. 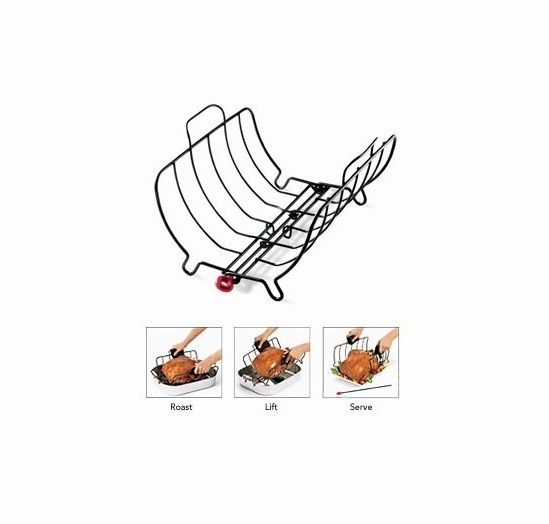 With one motion easily transport meat from roasting pan to serving tray. 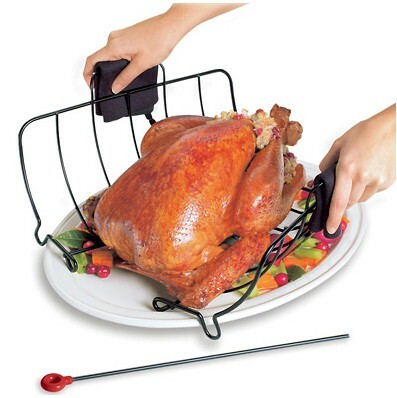 Large handles for easy lifting with oven mitts. Removable pin to disassemble rack. Non-stick surface for easy cleanup. 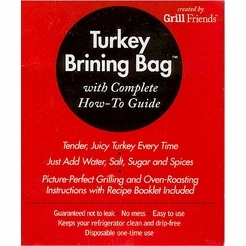 Holds up to a 25 lb/11 kg bird or roast. Fits 16 x 13 /41 x 33 cm rectangular roasting pan. Dimensions: 12.75” x 14.75” x 7.25” /32.4 x 37.5 x 18.4 cm. 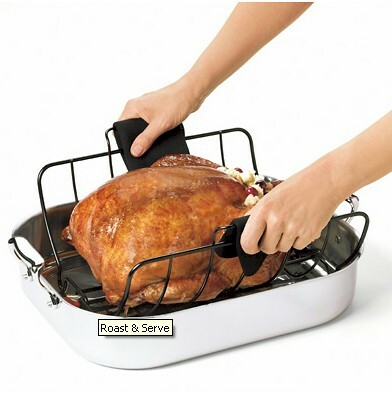 The original large Roast and Serve garnered the 2006 Housewares Design Award in the Best Kitchen Tool category at the Third Annual Housewares Design Awards. 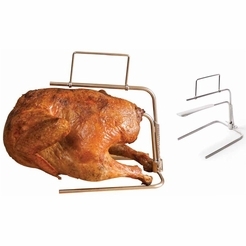 Transport meat from roasting pan to serving platter or cutting board. One motion no awkward lifters. Large handles for easy lifting with oven mitts. Removable pin to disassemble rack. 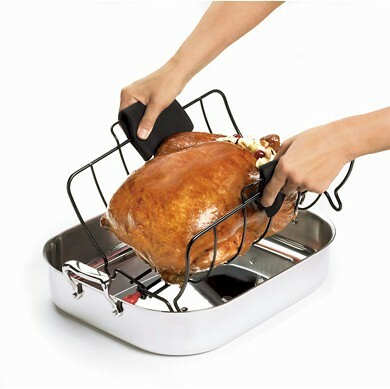 Non-stick surface for easy cleanup. 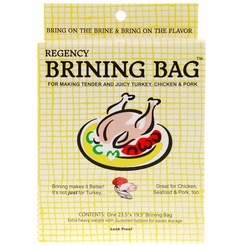 Holds up to a 25 lb/11 kg bird or roast. 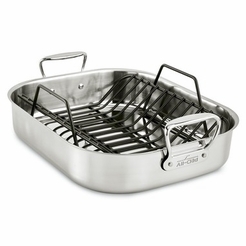 Fits 16 x 13 /41 x 33 cm rectangular roasting pan. 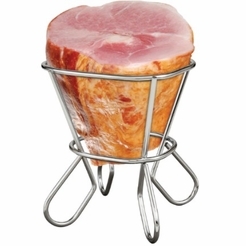 HIC Ham Rack 6 1/4"